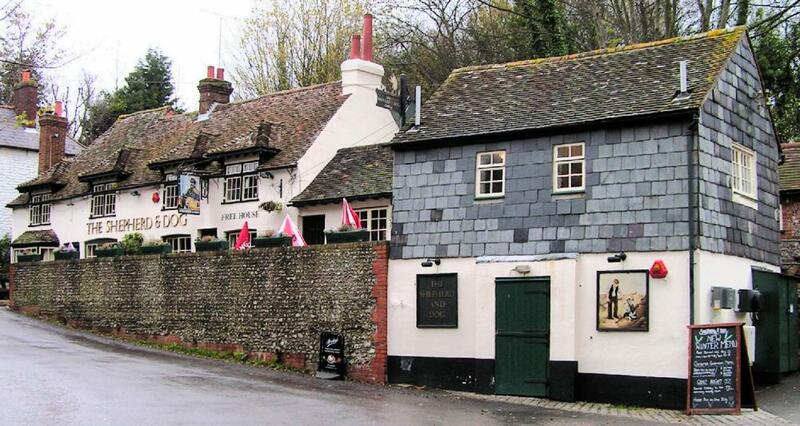 Here’s our pick of 5 great Sussex pubs worthy of an excursion from the city. All of them are reachable either on foot, by bike or by public transport. 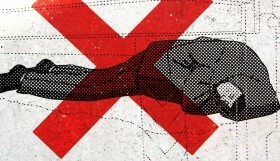 We provide here some straightforward directions for travel, but other routes can be worked out with a little research. 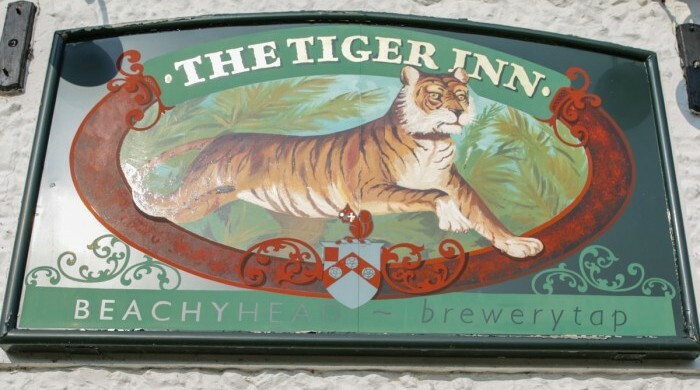 Striking a quintessentially English pose, The Tiger is a 16th-century inn that serves a selection of ales from the nearby Beachy Head Brewery, along with pub-grub classics like deep-fried whitebait and a proper ploughman’s lunch. It’s possible to walk from The Tiger to Birling Gap for fossil hunting or rock-pooling, although you could just as easily while away an afternoon without moving from one of the picnic benches that spill out onto East Dean’s idyllic village green. On any given weekend day the colourful and quirky Snowdrop is guaranteed to be playing host to all manner of fellows: local characters propping up the bar, groups of rosy-cheeked ramblers, families squeezed round tiny tables and dogs intently chewing beer mats. The pub serves up a classy but unpretentious menu that does an equally sterling job of catering for veggies, seafood fans and meat-lovers alike, with dishes such as beer-battered halloumi, home cured and smoked fish mezze, and ham hock terrine with sweet mustard pickle. Beer enthusiasts will be thrilled by the extensive and regularly changing selection here, which includes locally brewed ales and craft beers from further afield (we tried an unusual hazelnut porter when we last visited). Get there: Buses and trains run regularly between Brighton and Lewes. Alternatively, the Brighton–Lewes cycle path runs the entire way beside the A27. 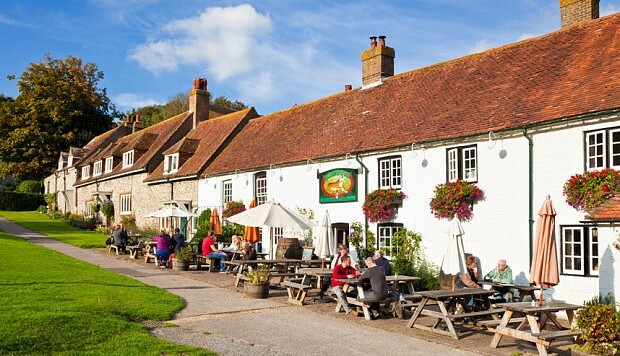 Renowned for its huge beer garden, nestled at the foot of Devil’s Dyke, the Shepherd and Dog is a perfect spot for a sunny Sunday. As well as classic pub dishes, the kitchen serves tapas for those who like to pick, cheese plates that don’t mess about (choose up to seven cheeses!) and a cracking Sunday roast. 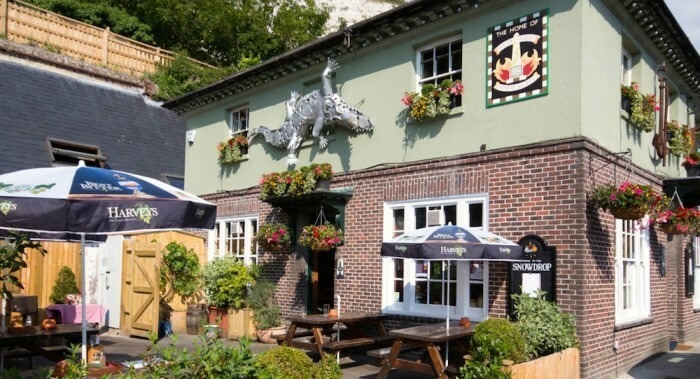 Making the most of its South Downs location, the Shepherd and Dog also has an outdoor bar and hosts events throughout the summer, including its popular cider and beer festivals, and jazz concerts in the garden. Get there: The number 77 bus breezes up to Devil’s Dyke from Brighton – quite literally in summer, when it becomes an open-topped service. From the Dyke it’s around a 40-minute walk down to the pub in Fulking. 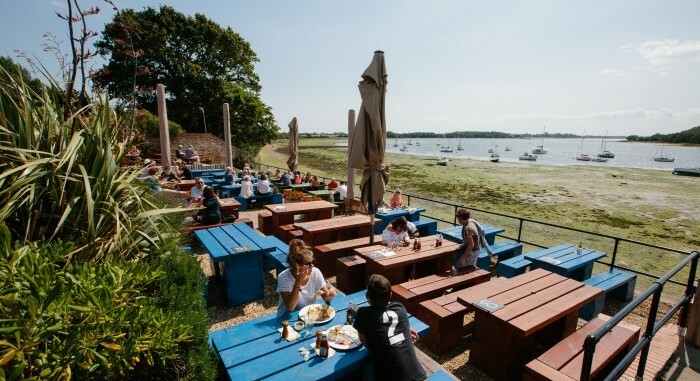 The Crown and Anchor is a late-16th-century inn situated at a peaceful quayside spot at the head of the Fishbourne Channel. 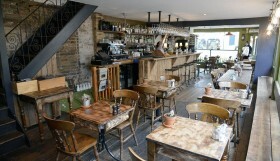 The pub offers an appropriately fishy menu, with each day’s specials dictated by that morning’s haul. 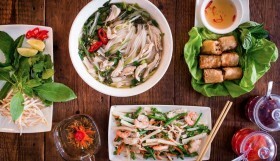 Expect supremely fresh fish and shellfish, like smoked sprats or Dover sole landed in Bracklesham Bay. There’s also an indulgent brunch menu offering dishes such as oysters Rockerfeller and kipper croquettes with a poached duck egg. On Friday nights throughout summer the pub hosts sunset sessions, with a DJ playing chillout tracks and a barbecue on the terrace. Get there: Take your bike with you on the 45-minute train ride from Brighton to Chichester. From there it’s a 20-minute cycle along a short section of the Salterns Way to the Crown and Anchor at Dell Quay. One of the oldest buildings in Ditchling village, The Bull dates back to the early 16th century and a sense of history pervades the inn – it’s the kind of place that ought to be haunted. 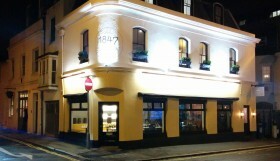 The pub has a good selection of beers from local breweries and a pricey but enticing menu of poshed-up pub dishes (‘This is not just sausage and mash, this is Toulouse sausage and pomme puree …’). 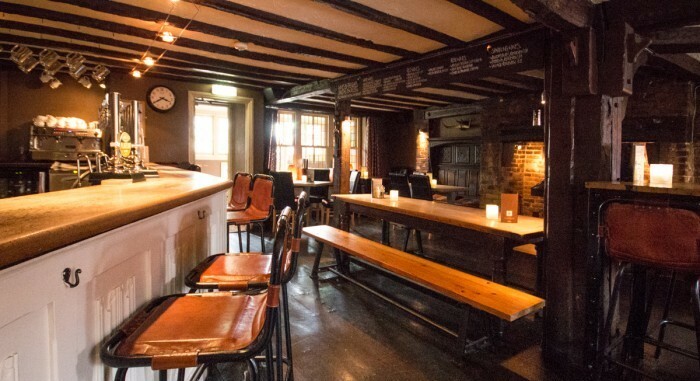 There’s a large beer garden with views over the Downs, as well as a pretty front terrace, but the bar’s dark timber beams, open fires and cosy leather armchairs also make The Bull an appealing choice for a squally autumnal day. Get there: Take the number 79 bus to Ditchling Beacon. From here it’s about a 40-minute walk along the South Downs Way to the village of Ditchling.